There are many great resources in our community and online. Here are a few reliable sources that we recommend. This site has many free videos about dyslexia , as well as the latest research. Fifteen nonprofits have collaborated to create this resource. It is a wealth of information designed to support parents with articles, videos, and personalized resources. Dr. Sally Shaywitz runs the Dyslexia Research Center at Yale. She has written one of the best books about dyslexia called Overcoming Dyslexia. 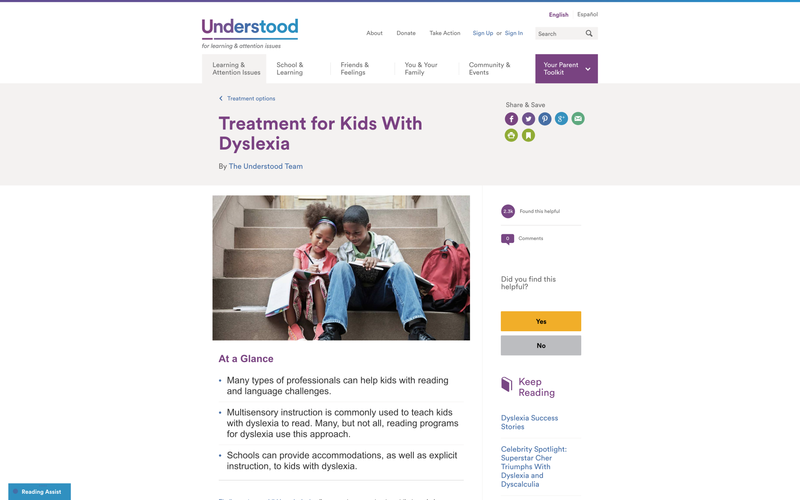 This site is designed to help parents better understand dyslexia, and to help them find resources in their community. The local non-profit organization dedicated to promoting increased awareness and respect for persons with learning disabilities. LDAO offers many resources, services, information, venues and products designed to help people with LDs and ADHD, as well as parents, teachers, and other professionals. For informing, educating and supporting individuals with dyslexia, their families and communities. Provides resources for professionals and families helping with individuals with reading disabilities.